Introducing the ‘Eating’ series! All ‘Eating’ posts will be wholly devoted to foods and drinks from our travels. Yum! 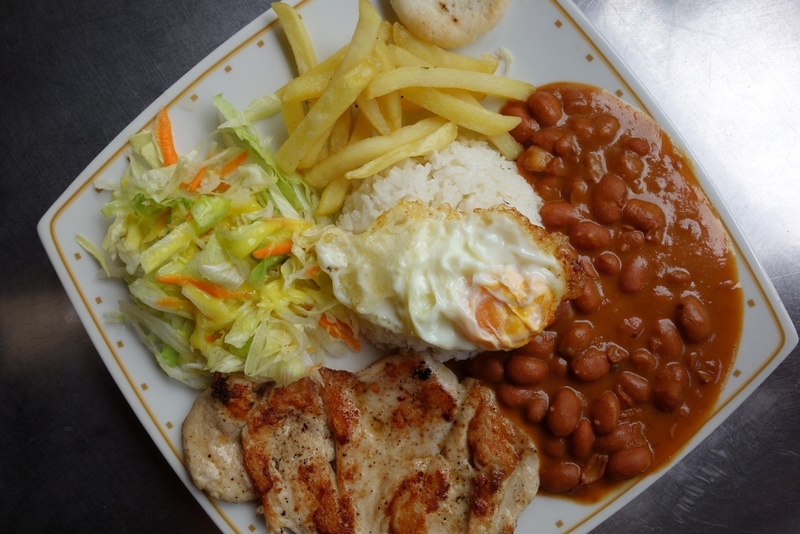 Colombian food is very meat and starch-heavy. Jason LOVES meat but I prefer lighter fare. Also Colombians love to fry everything, which is delicious occasionally but when you have your fifth deep-fried ‘some sort of meat encased in a ball of corn flour’, you start craving a stalk of celery. 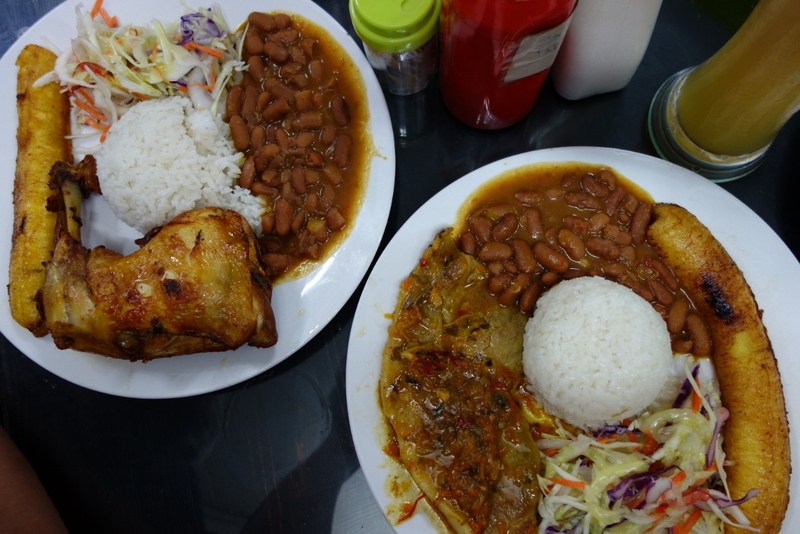 Something we both agreed on is the flavour of Colombian food – or maybe lack thereof. We’re used to the flavour explosion of Korean kalbi, or the subtle hints of fresh herbs in Vietnamese pho, or oregano-infused aroma of fresh Italian tomato sauce. 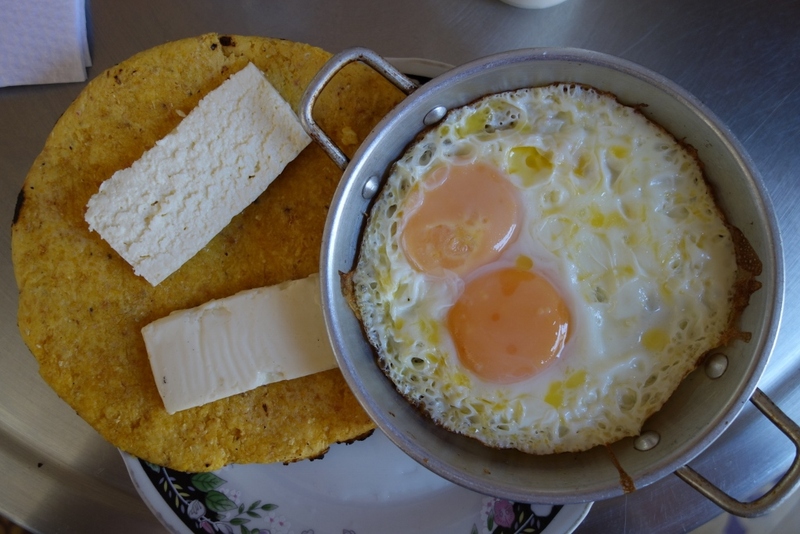 In comparison, Colombian food is a little one-dimensional. Locals are always sprinkling salt, shaking pepper, squeezing lime or squirting hot sauce on everything to give it some sort of kick. 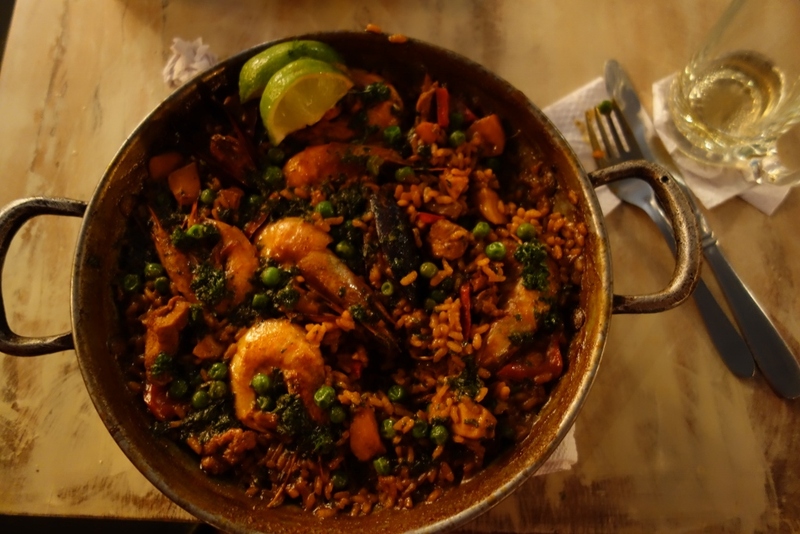 After two weeks in Colombia and in search of something different, I tried a seafood paella in Cartagena. Cartagena is on the coast and I thought the Spanish seafood dish would be a good choice. Unfortunately, it wasn’t prepared very well (rice was overcooked and it was too salty. Looked good…but was a little salty and overcooked. While on the coast in Cartagena, we also tried ceviche (fresh raw seafood marinated or cured in lime juice and seasoned with chili peppers). We visited a place called La Cevicheria. Apparently Anthony Bourdain had visited this place on his show No Reservations. I’m not sure why, as we found the ceviche very sub par – it was overpoweringly tart and overpriced. I had the octopus ceviche and Jason had the mixed seafood ceviche. Jason’s was mildly better because of the variety in texture. Luckily, breakfasts were pretty consistently delicious. 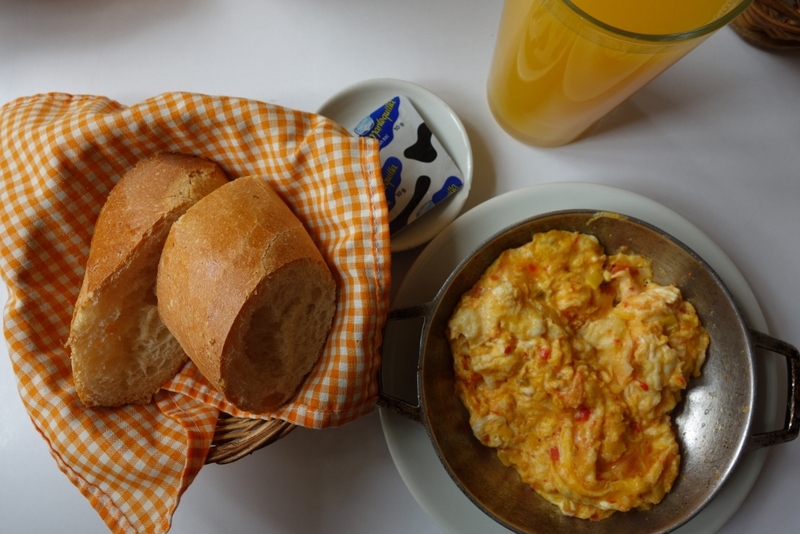 Fresh baguette served with huevos pericos (scrambled eggs with onion and tomatoes) or arepa (fried maize pancake) served with fried eggs, drizzled with butter and sometime served with a local cheese that’s really similar to feta. 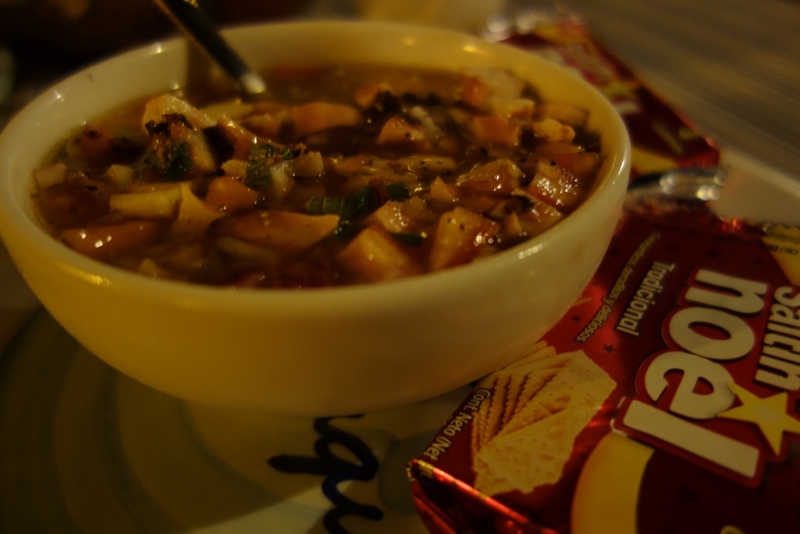 One thing Colombia does really well is their soups and stews. I’ve posted this photo before but I’ll post it again since it was so good. Their fish soups, pureed vegetable soups, chicken soups are so good! Add a splash of lime and it’s perfect. 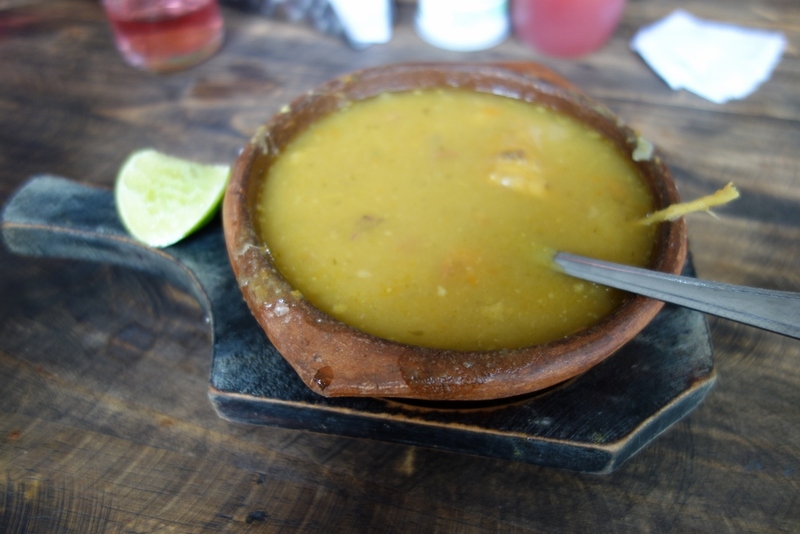 Don’t miss the soups and stews in Colombia! 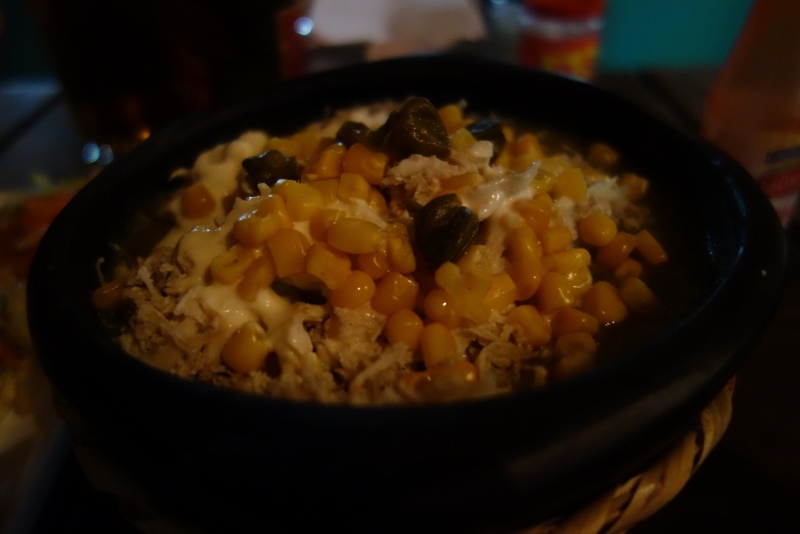 Supposedly, one of Colombia’s tastiest dishes is the ajiaco – a very thick chicken stew that’s chock full of vegetables, maize, potatoes, cream, and capers. I only say ‘supposedly’ because I don’t think the version we tried was that great. It was a little too thick in consistency, almost like I was eating a bowl of really thick chicken-flavoured mashed potatoes. We would’ve given it another chance but we ran out of time in Colombia. 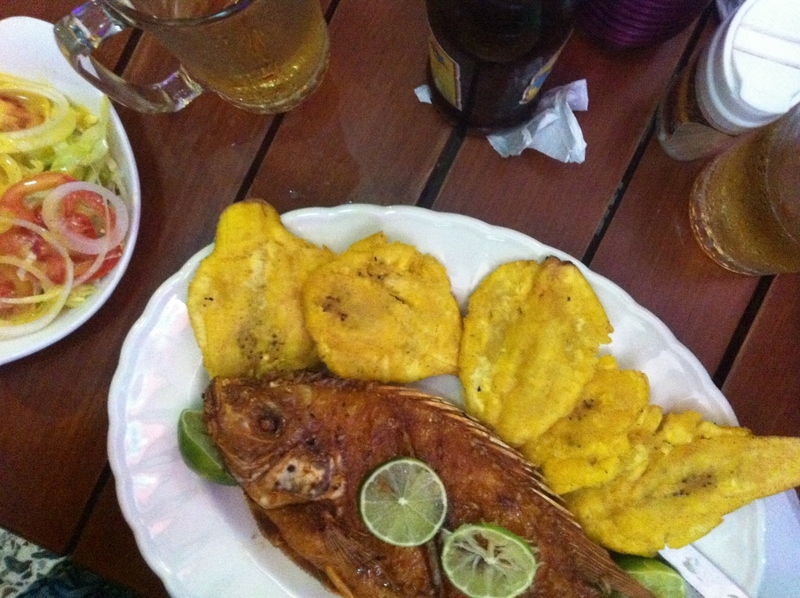 The highlight of the food we had in Colombia was definitely the fish in Cartagena. 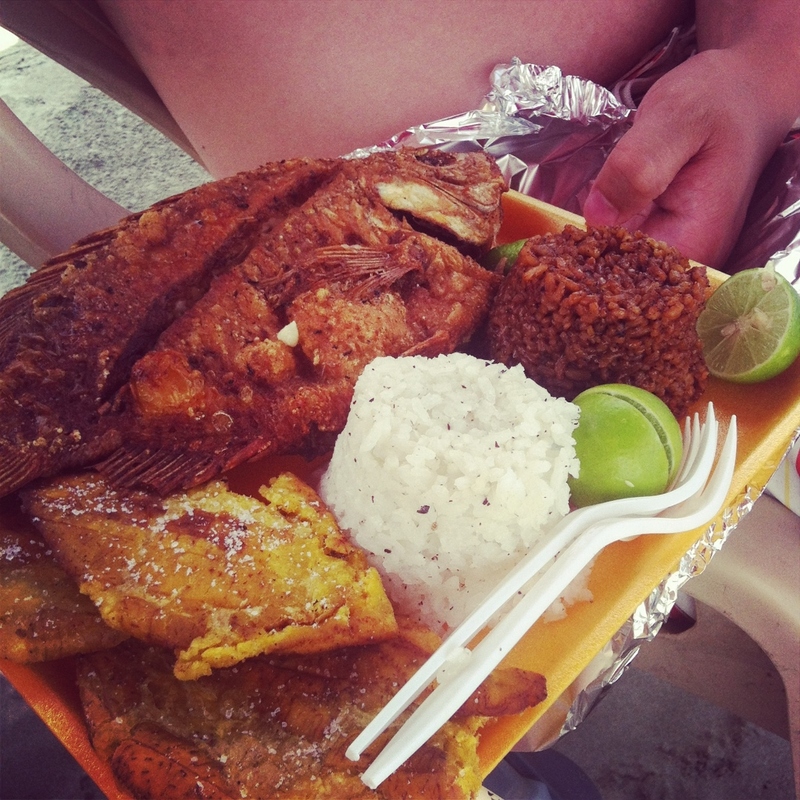 They brought fresh fish to us while we lounged on the beach, so that we can select one we liked (we chose the Red Snapper) and they fried it up for us and served it with coconut rice. Absolutely amazing. I couldn’t get enough of it. I ordered it again for dinner (where I tried the Mojarra). And again for lunch the next day. 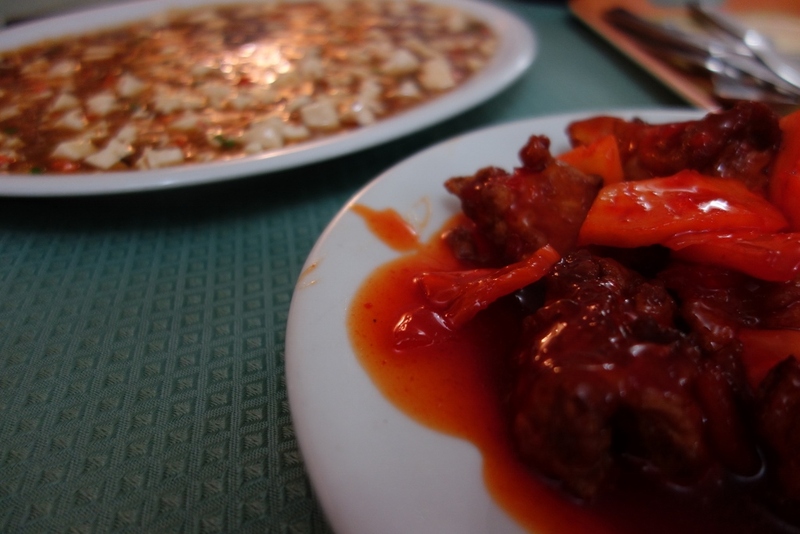 Closing in on 3 weeks in Colombia, we decided to get a taste of something familiar – Chinese food. We found one of the few Chinese restaurant in Medellin. Thanks to my dad insistence that I learn the language of my ancestors (i.e. 3 hours of Chinese school every Saturday all through my grade school years), I was able to converse well enough with the owner of the restaurant to order off the menu. That meant we were able to order some authentic Chinese food, as opposed to the Americanized (Colombianized?) Chinese food that she normally serves. 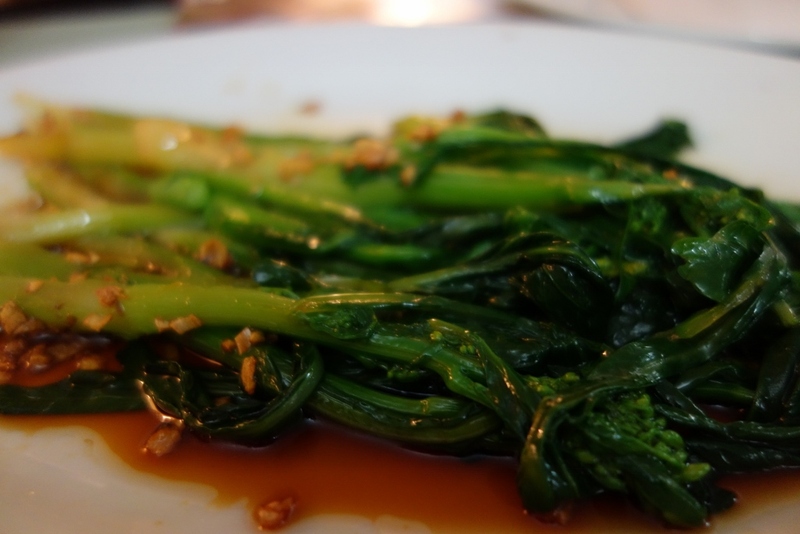 After weeks of eating meat and starches, it was nice to have some leafy greens. The owner has to special order in ‘Guy Lian‘. What a treat! 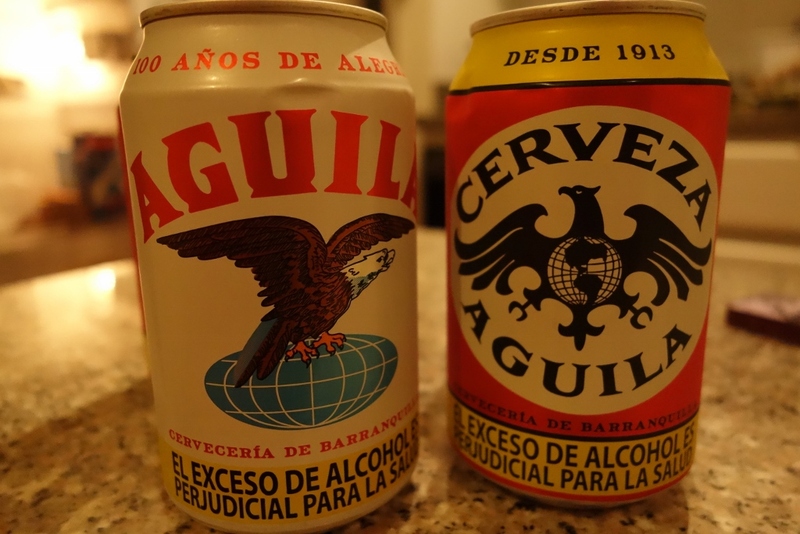 Adios Colombia! The country was beautiful, the people were really friendly, but the food could be better.